With summer 2019 fast approaching, what are the latest summer furniture styles and trends to watch out for as the clocks spring forward this year? Good design will always endure, but individual tastes evolve over time too, and one of the great joys of being a bespoke furniture producer is seeing what each new order will bring. Here are just a few of the latest furniture trends we’re noticing at Jacob as our customers update their interiors with bespoke furniture and expert reupholstery. We’re seeing a growing awareness of fine fabrics for use in upholstery, as more and more of our customers want to choose their own upholstery material, rather than buying furniture with no say over what’s covering it. Hides, faux leathers and opulent upholstery fabrics are all part of this trend, which not only allows homeowners to express their own personality and tastes but can also have very practical implications by allowing you to choose a colour that’s easier to take care of. Jacob Furniture now also supply upholstery fabric separately by the meter, from our carefully chosen selection of top-quality materials – just click on ‘Fabrics‘ on our website for more information about the brands we have in stock. We all want to feel comfortable at home, and this translates into a trend for more snug spaces, whether large or small. Made-to-fit furniture makes good use of every inch of space available, while also maximising the comfort factor of lounging around on a lazy day. You don’t have to have just one sofa or a three-piece suite – even a hallway can often fit an upholstered statement chair or a narrow chaise, while almost any room can be made to feel more snug and welcoming by the addition of a comfy cushioned armchair. Natural materials have never really gone out of fashion but we’re seeing a desire for them to look as natural as possible – that means less painted surfaces and more clear finishing that emphasise the unique grains of different solid wood species. 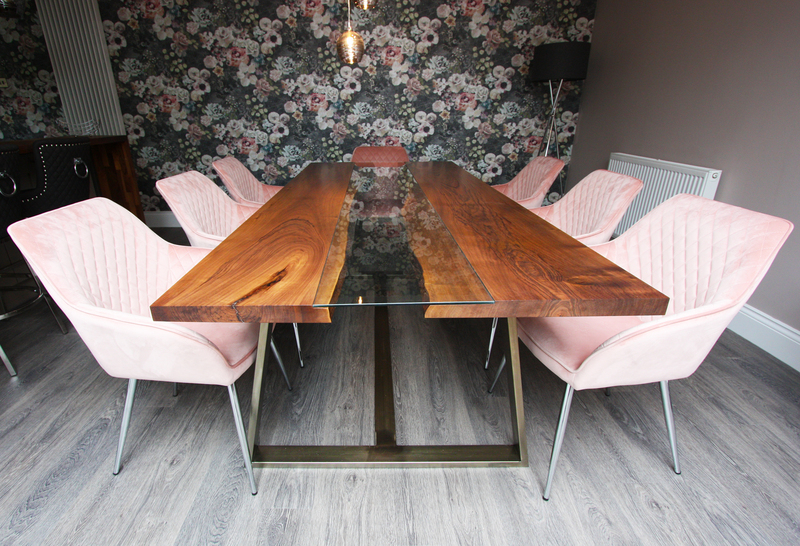 On some bespoke furniture items, we’re being asked more often to supply furniture with waney edge pieces or to make good use of the natural shape of the wood, from irregular shaped tree trunks to gnarled branches. You can find some excellent examples of this in our Art Furniture collection, which bring natural woods indoors while also offering something that is utterly unique (although if you need a matching pair, we are happy to replicate a design as closely as we can! ).